As Patek Philippe minute repeaters go, the ref. 5078, which was first launched in 2005, is the purest and most discreet expressions of the complication in the current collection. It combines an unassuming, at least design-wise, dial with the 342-component cal. R 27 PS. But now, Patek Philippe has given the ref. 5078 a face to match. The new ref. 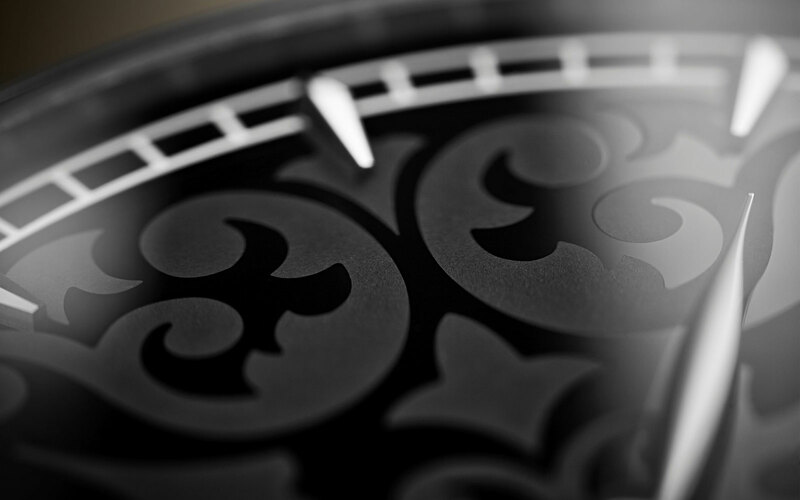 5078G-010 has a striking, two-tone black enamel dial decorated in scrolls and arabesques rendered in a matte finish against a glossy black surface. 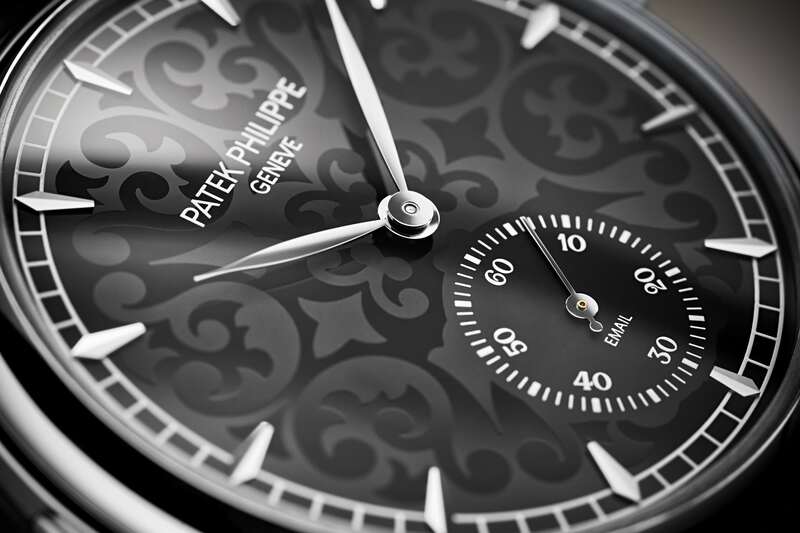 It features applied hour markers in white gold, leaf-shaped hands, and “email” (French for “enamel”) on the seconds sub-dial. Dial aside, the rest of the watch is identical to earlier versions of the ref. 5078. 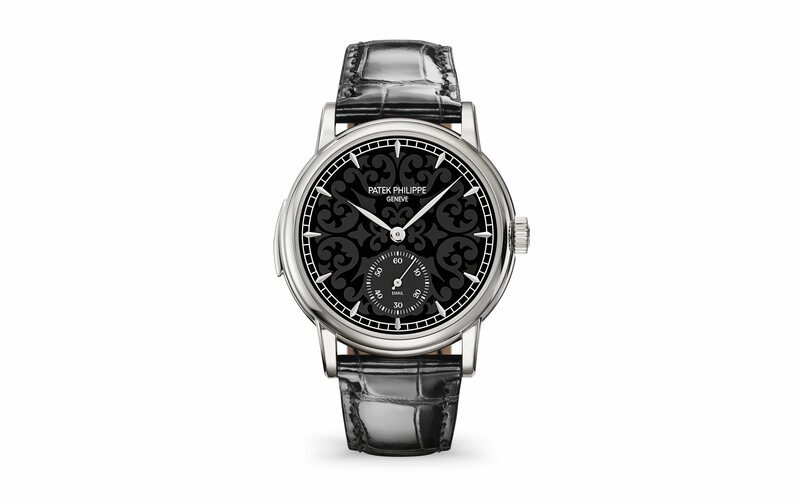 The case is 18k white gold and has the same elegant proportions, 38mm in diameter and 10.18mm high. 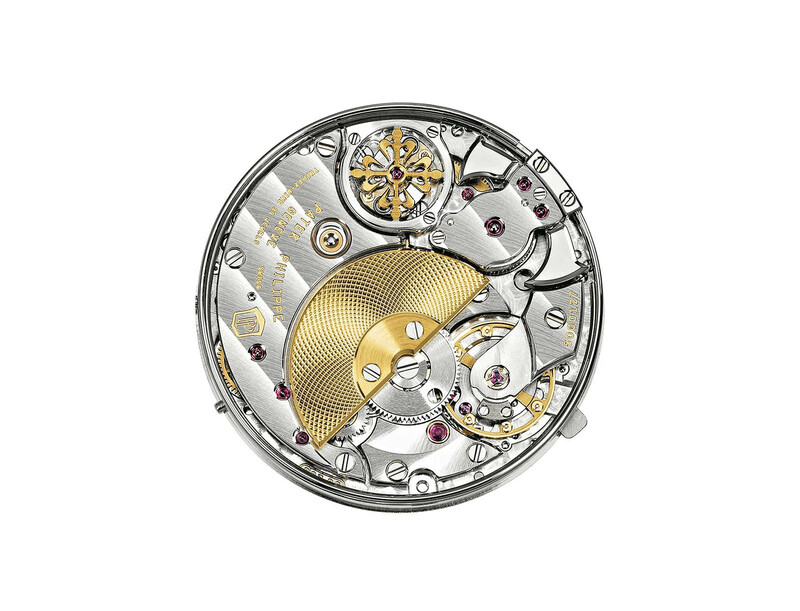 It is fitted with the beautifully finished R 27 PS movement, which is Patek Philippe’s simplest minute repeating calibre. This self-winding movement is equipped with two pairs of hammers and gongs, along with a micro-rotor decorated with barleycorn guilloché. 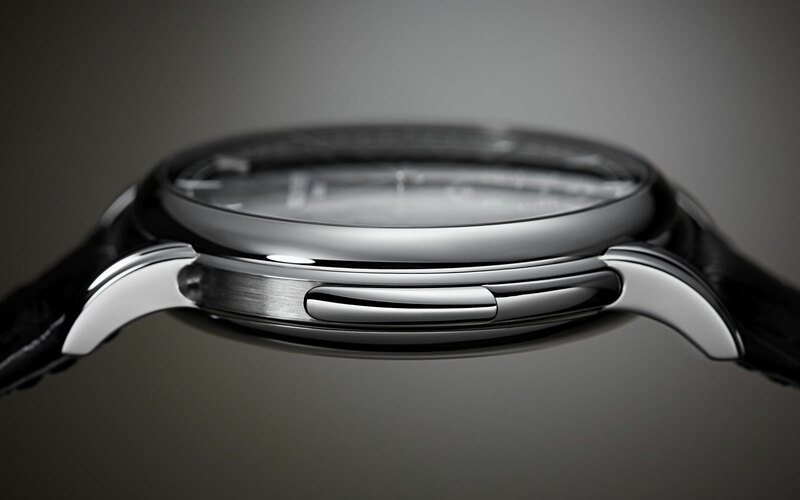 It has a frequency of 3Hz and a power reserve of 48 hours. The price has yet to be announced, but with the earlier ref. 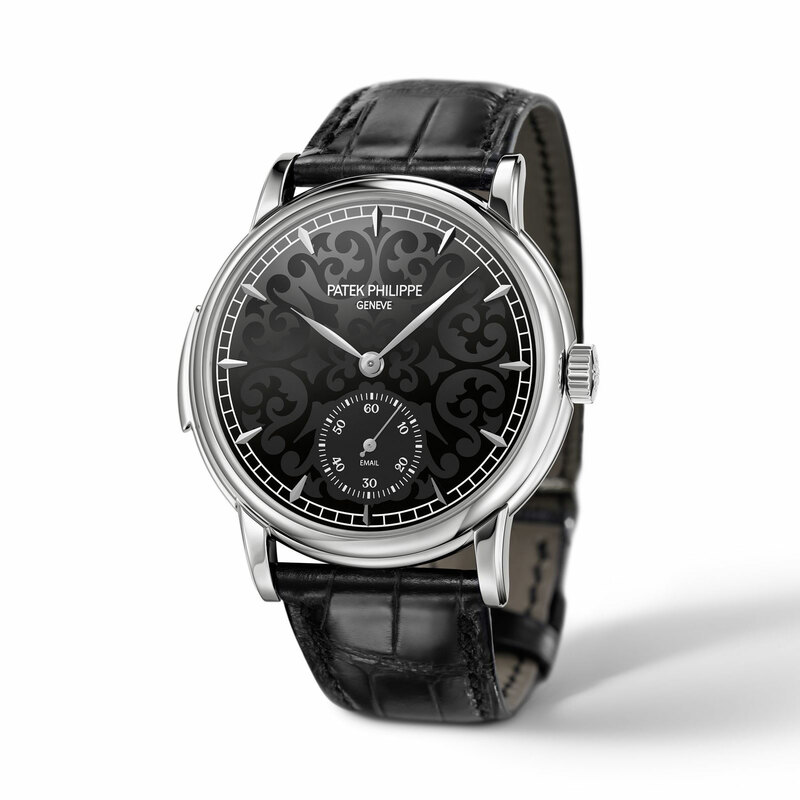 5078G-001 priced at 350,000 Swiss francs, expect this to be in the same ballpark.